Eight years ago I wrote a blog post called “Don’t confuse your players by showing irrelevant content on your gaming portal!” where NordicBet had a “Create account” banner even though I already was logged in. Now it is 2018 and I am really surprised that a big gaming company like Betsson makes the same rookie mistake. Image: Betsson’s start page when signed in. 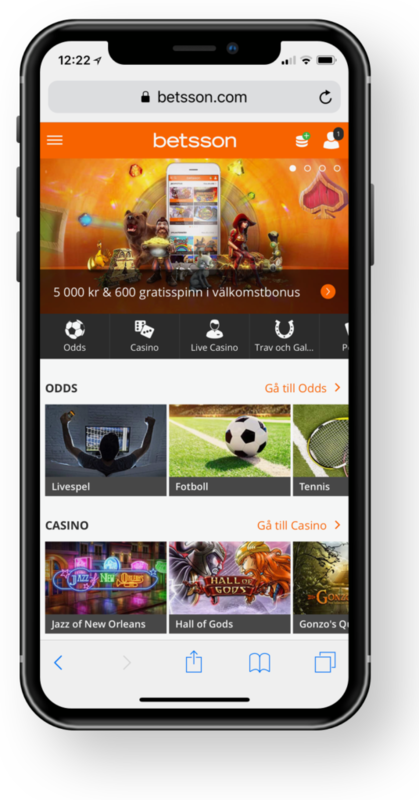 As you can see in the image above Betsson offer me 5000 kr and 600 free spins as a welcome bonus when I create an account. Strange since I’m signed in and has had an account with Betsson for years.